The Peerless 76513SN is a 5-Spray Massaging Hand Shower. This massaging hand shower comes standard with 5 different spray/massage functions, and anti-clog nozzles that remove mineral deposits before they have a chance to build-up. 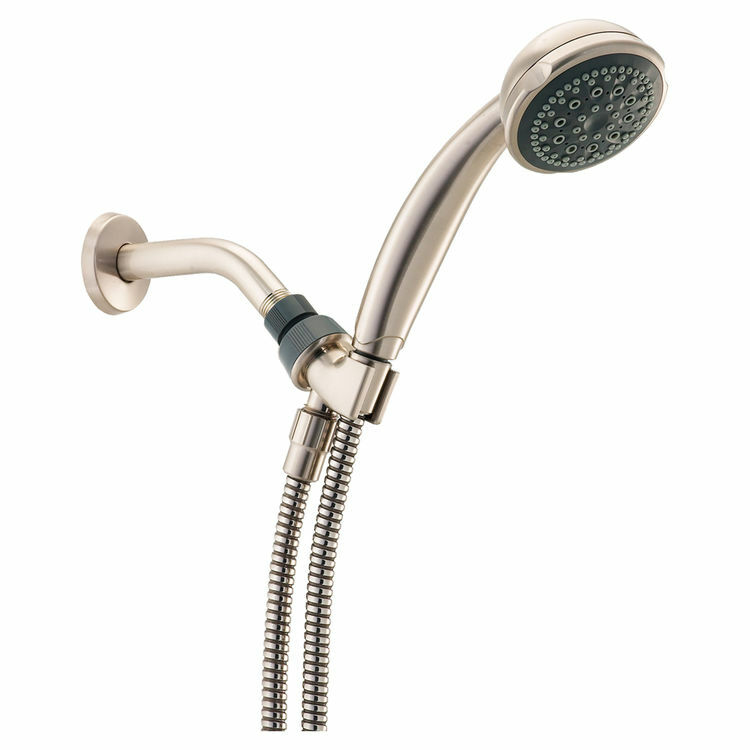 It comes with a shower arm mount for hands-free showering, and a tangle-free flexible metal hose. This model comes in a beautiful, classic Satin Nickel finish. Shipping Dimensions 12.5" x 6.0" x 4.0"
This shower unit worked well for two years, but the flexible hose attachments are cheap plastic and crack over time. The one that cracked on me is the one that connected the hose to the base. It would be nice to have a parts list available to order from. The part that you hang the shower head on broke in half. The unit still works but only hangs now. I have not been able to find a replacement. The part should be twice as think and perhaps a stronger plastic. If so I bet it would have held for years. In general, looks good and works well. But all you can expect out of this product may be a few years. The plastic of the rest is not strong enough to hold up to light use of replacing the shower nozzle into the holder.